New Zealand stretches across the main North and South Islands, plus countless smaller islands in the same chain. Its temperate climate and varied landscape makes it a perfect destination for travelers interested in more adventurous vacations. 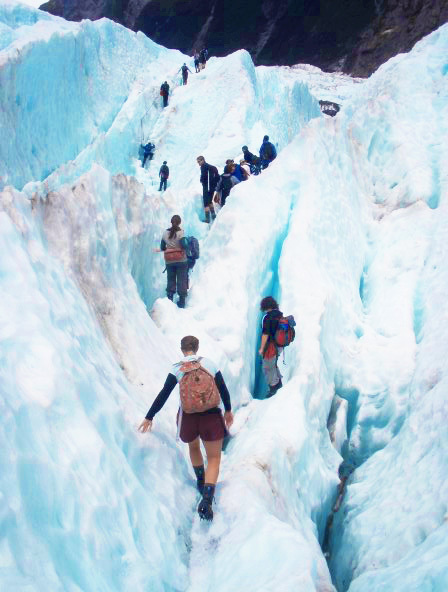 From glacier treks to sky diving to hiking, there are endless things to do in the beautiful green landscapes that carpet New Zealand. 1. 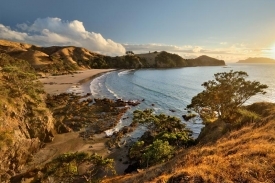 Great Barrier Island is the fourth largest of the main island chain that makes up New Zealand. In contrast to the others, much of the island remains a nature reserve that hosts a range of environments. Visitors can relax in rented cabins scattered throughout the scenic landscape and enjoy great hikes throughout the island. 2. 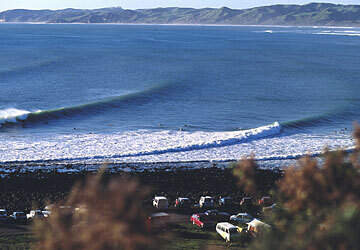 Raglan is a small town home to Manu Bay, one of the premier sites for surfing in New Zealand. Relax in local accommodations and sample the rich cuisine while learning to surf. 3. 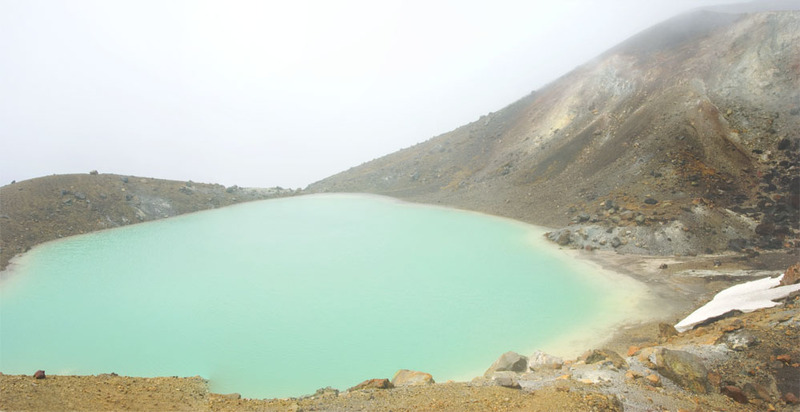 Tongariro National Park includes three volcanoes called Tongariro, Ruapeha, and Ngauruhoe. All three are of enormous religious significance to the indigenous Maori people. Hikers can traverse the active volcanic landscape, while skiers and snowboarders can unleash and unwind at fitting accommodations at the ski town of Ohakune. Our travel club went here in 2008 and we’re over due for another NZ adventure! Stay tuned for the next trip to New Zealand! I lived in NZ for a year and absolutely loved it – an incredible place for wilderness and raw natural beauty. You should get back soon! Yeah tell me about it! We did an amazing road trip starting at the bottom of the South Island and finishing in Auckland. We gotta see the beaches and northern coast next time!